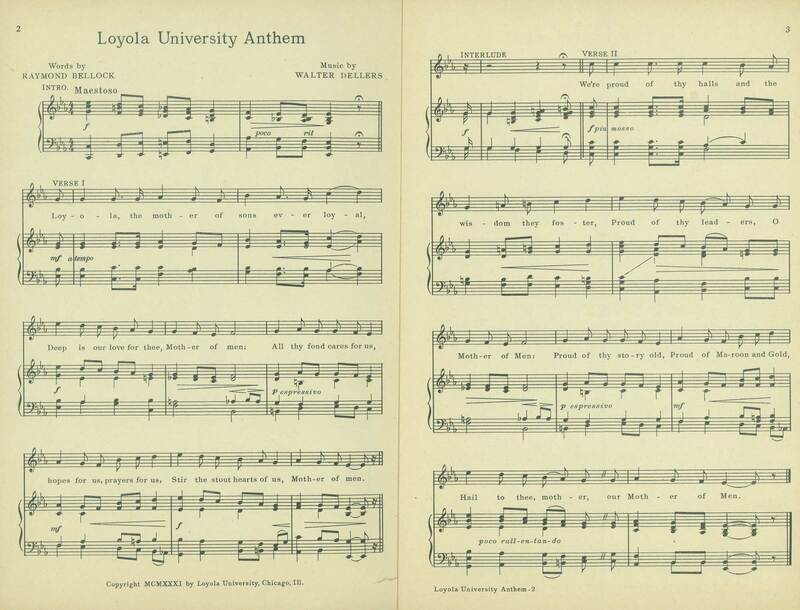 Sheet music for "Loyola Anthem," written in 1931 by Raymond Bellock, with music by Walter Dellers. As with every university, Loyola has both its official and unofficial songs. The songs in this section comprise cover a variety of uses such as school anthems, fight songs, and victory marches.